Your backyard is so pretty! I don't know if we've ever tried the extra ginger beer, but I like the sound of mixing it with apple cider. 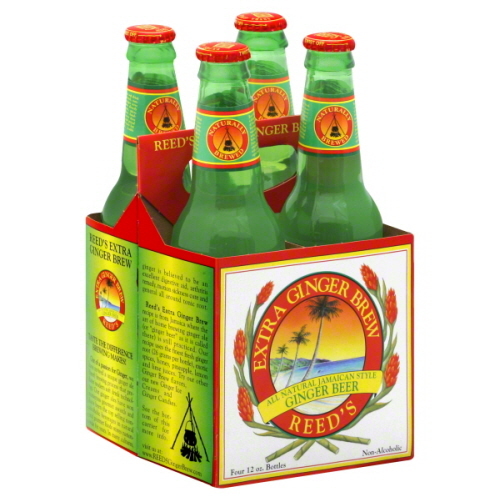 Reeds has a spiced apple brew that's also pretty good if you like apple flavors with a little spice! Your deck looks so inviting. It's a perfect place to relax and has a great view. I love how you are decorating your house and making it so personal to you. Semi Charmed Life by Third Eye Blind & All the Small Things by Blink 182 (which I THINK was 99? - but maybe 2000)always take me back. I tossed C'est La Vie on a mix cd I made a year or so ago, so I still listen to it a surprising amount. A beer museum, that's amazing! I'm hoping they would give out samples! And omg N'sync and sweet dreams! Whenever my little sister and I get together we always jam out to the 90's music we grew up listening to in middle school, love it! Ahhhh the 90's were the best! I of all people should have a list of songs for you. That's the Way Love Goes by Janet Jackson! Salt n Peppa! Whatta Man. I know every single word. That extra ginger brew sounds so good! I often find things aren't gingery enough so that sounds perfect! c'est la vie is totally on my running playlist, no shame in my game. love that song. i'll check out Leslie's List, thanks for sharing!